Rosamund A. Paice lectures in English at the University of Lancaster. 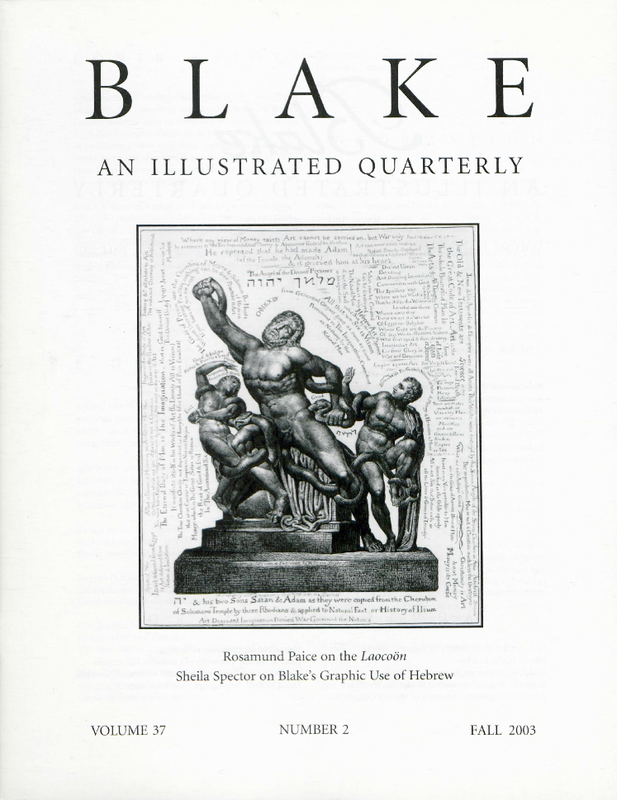 She completed her doctoral study of Blake’s Laocoön separate plate in 2002, and is currently working on Blake’s illustrations to Dante and the Bible, with the aim of producing a book on literary responses in Blake’s later works. Her particular interest is in the way in which Blake rewrote for his own purposes the history and meaning of his own and others’ creations. Sheila A. Spector, author of “Glorious incomprehensible”: The Development of Blake’s Kabbalistic Language, and “Wonders Divine”: The Development of Blake’s Kabbalistic Myth (both published by Bucknell University Press in 2001), is most recently editor of British Romanticism and the Jews: History, Culture, Literature (New York: Palgrave Macmillan, 2002). The University of Toronto declines to forward mail.